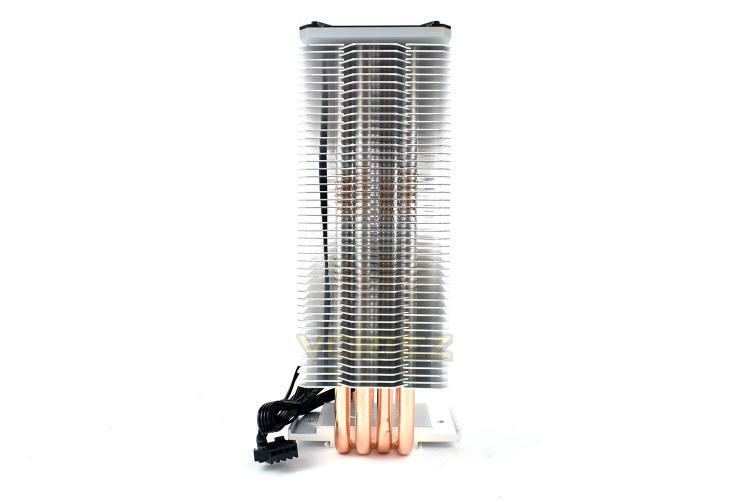 Looking at the GAMMAXX GT head on, it’s difficult to see what sets this apart from any other tower cooler. 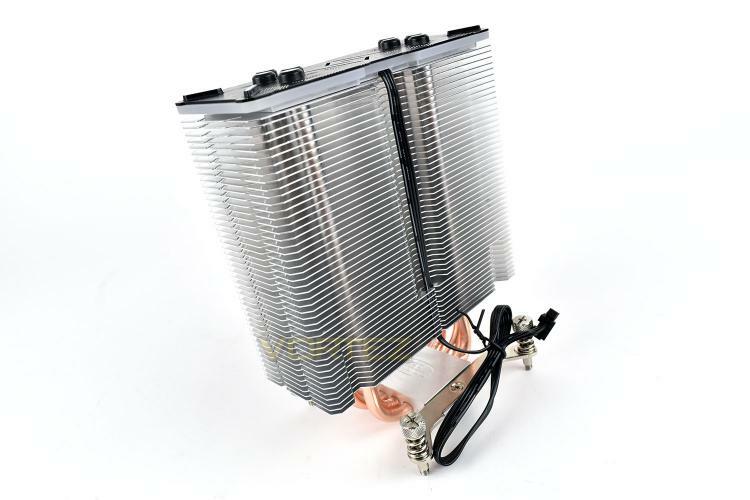 Deepcool have utilised their latest 0.5mm fins, of which there are 46 in total, to help dissipate any heat from the CPU. 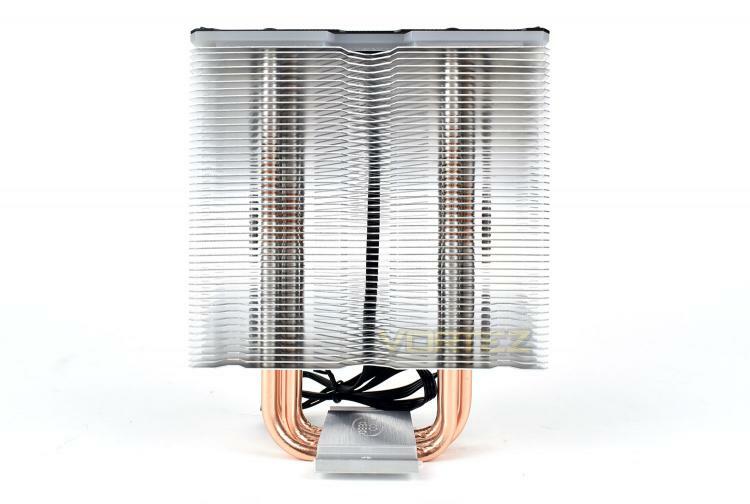 Side on, those four heatpipes can be seen rising up throughout the spine of the tower to the very top, transferring heat in an efficient manner from the CPU’s IHS to the fins. To enable the RGB lighting on top of the tower, Deepcool have been required to run a 4-pin RGB cable down the back of the cooler, with the table tucked into place by the last 10 fins. The top of the cooler is capped by a piece of aluminium, onto which the TUF Gaming style is painted. There’s some sections cut out to allow the RGB LEDs to “do their thang”. The outer edge is also illuminated. We’ll show some images of the lighting on a subsequent page. 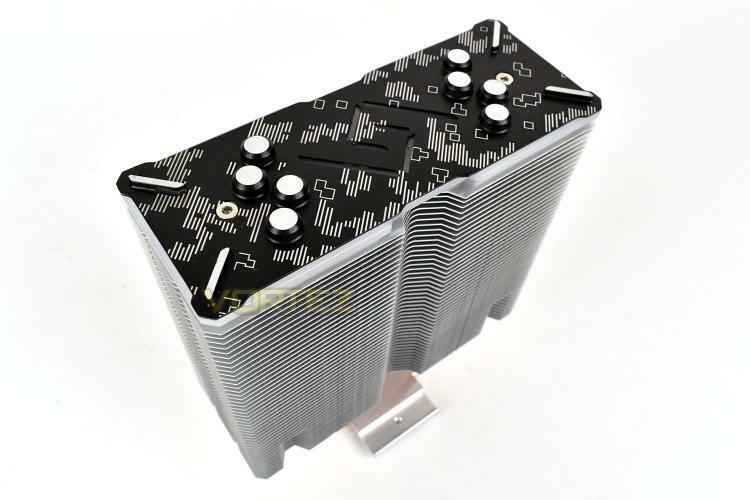 The base of the cooler comes into direct contact with the heatpipes for maximum thermal efficiency, though the milling process which flattens the bottom in unfortunately a little bit too rough and isn’t perfectly flat which may hinder performance somewhat. 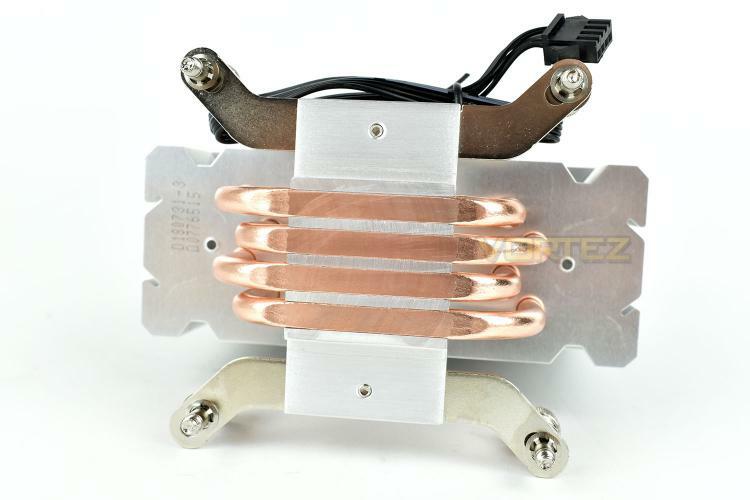 Thermal paste is good at transferring heat but metal-to-metal contact is much better.